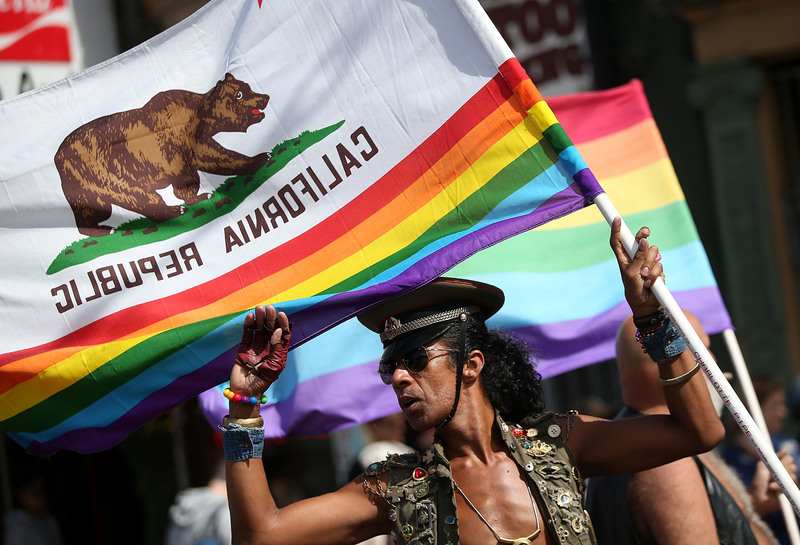 How Hard Would It Be For California To Secede? People Are Talking About A "Calexit"
If you thought Brexit was going to be the only major secession story this year, think again. "Calexit," as in the idea of California becoming its own country, is now a thing, and the movement is picking up steam following Election Day results. But just how hard would it be for California to secede? Calexit has been largely promoted by the Yes California Independence Campaign, a San Diego-based movement backed by venture capitalist and angel investor Shervin Pishevar. "As the sixth largest economy in the world, California is more economically powerful than France and has a population larger than Poland," the Yes California campaign wrote in statement. "Point by point, California compares and competes with countries, not just the 49 other states." Still, the ideology behind Calexit is fundamentally different than that of Brexit supporters, according to the Yes California campaign website. "In 2016, the United Kingdom voted to leave the international community with their 'Brexit' vote. Our 'Calexit' referendum is about California joining the international community," the campaign wrote. Yes California has found two secession options that the campaign sees as viable. The first involves a Washington delegate proposing a constitutional amendment that would allow California to withdraw from the union. This amendment would face several further hurdles, including having to be approved by 2/3 of each house of Congress, and then being accepted by at least 38 out of the 50 states. Yes California's second option includes calling for a convention of the states, and then having two-thirds of the convention's delegates approving the same constitutional amendment as mentioned in the previous option. This isn't the first time residents of a state have pushed to secede from the union; a group of conservative Texans almost forced Texas Republicans to decide on secession earlier this year, but were two votes short of a floor vote, the Washington Post reported. Still, the likelihood of a state actually managing to become its own country remains low, even for the U.S.'s most populous state. For one thing, secession-supporters would have to negotiate the limitations of the U.S. Constitution, which includes provisions for adding states to the union, but not for exiting it. And considering one of the major issues the Civil War was fought over was the idea of secession, the legality of a state withdrawing itself is "problematic," Eric McDaniel, associate professor of government at the University of Texas at Austin, told the Texas Tribune in June. “The Civil War played a very big role in establishing the power of the federal government and cementing that the federal government has the final say in these issues," McDaniel said. On the other hand, this is great news for the rest of the country, considering that more than half of the United States' fruits and vegetables are produced on California farms. Still, the strong positive reaction towards the idea of secession following Trump's winning of the presidential election makes sense. California overwhelmingly votes Democrat, so the election of a Republican lawmaker who didn't win the popular vote is understandably frustrating to many California residents. Anti-Trump protests have erupted in many cities across the state. Even elected officials have expressed disappointment with the election results. "Today, we woke up feeling like strangers in a foreign land, because yesterday Americans expressed their views on a pluralistic and democratic society that are clearly inconsistent with the values of the people of California," State Sen. Leader Kevin de León and Assembly Speaker Anthony Rendon said in a joint statement, according to ABC News. Though a "Calexit" has a valid ideology behind it, the odds of seceding are very slim in reality.